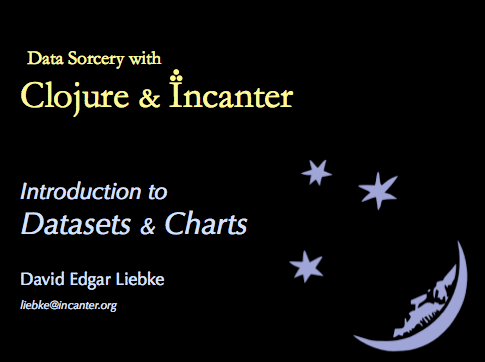 I just updated Incanter‘s default chart theme. 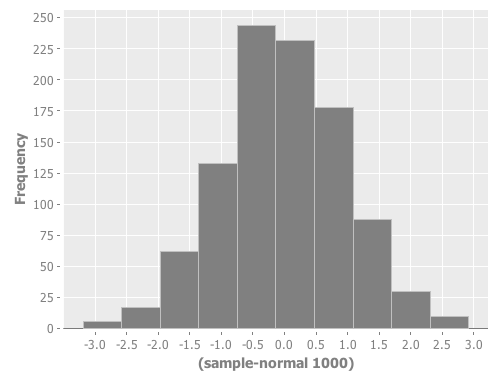 The new theme is inspired by Hadley Wickham‘s awesome ggplot2 package for R.
The first example is my usual “hello world” chart, a histogram of data sampled from a normal distribution. The next example is a scatter plot of the sepal-length vs. sepal-width from the built-in iris data set. 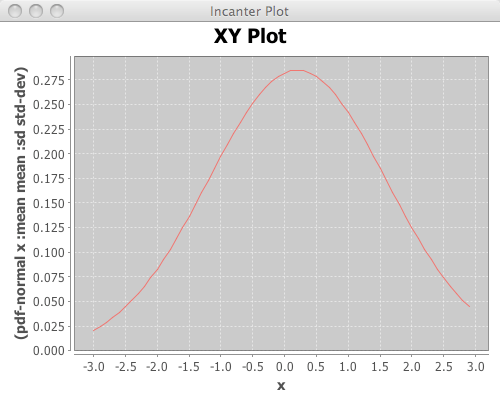 In addition to changing the default theme, I have included new functions for customizing the appearance of the charts. 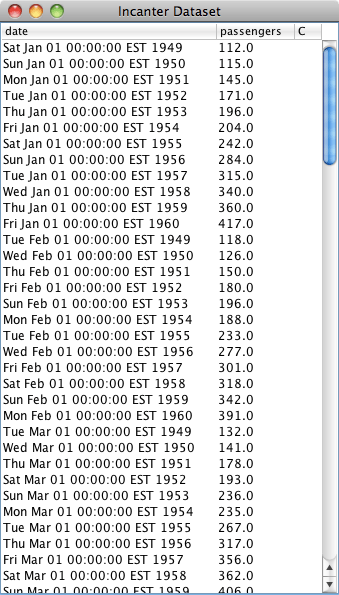 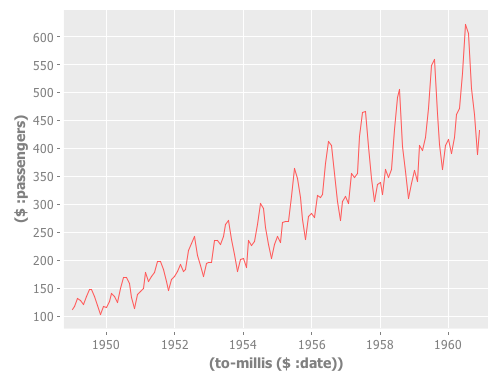 Here’s an example of the set-stroke function, used here to change the color of the data points in the previous chart. 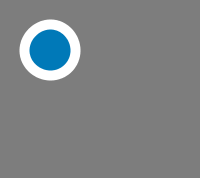 The next example uses the :group-by option to color the points based on their species. 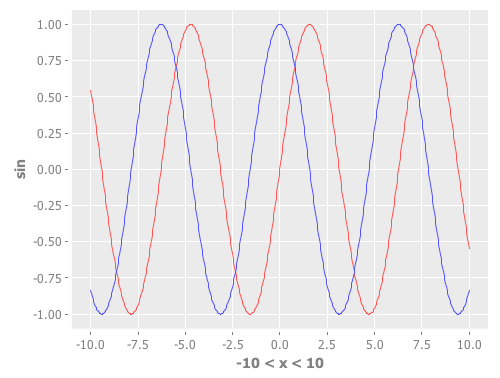 This example uses function-plot to create an xy-plot of the sine and cosine functions. 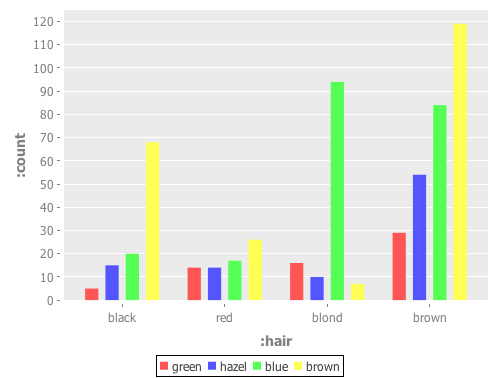 This example uses the $rollup and bar-chart functions to plot the data from the built-in hair-eye-color data set. 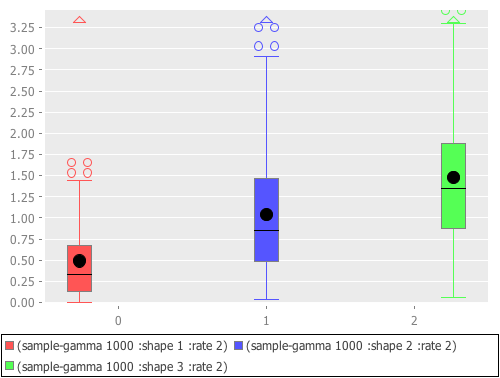 This example uses the box-plot function to plot data from three gamma distributions. 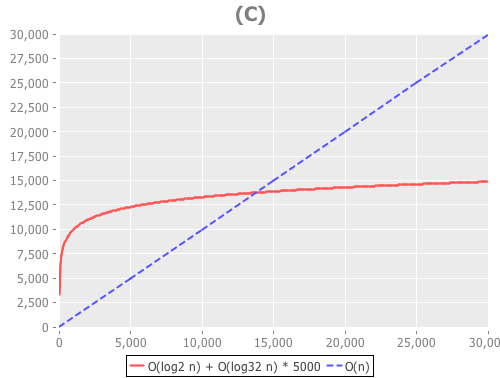 The following examples are based on the charts in figure 4.2 of chapter four of “The Joy of Clojure“, where the performance characteristics of Clojure’s data structures are discussed. 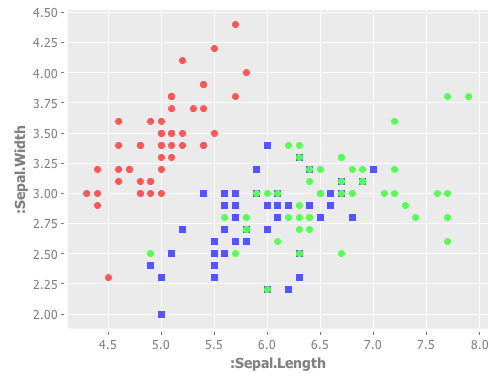 First define the two functions to plot, and the range of values to plot them over. Next, create the plot and use the set-stroke function to increase the stroke thickness for both lines, and make the second line dashed. 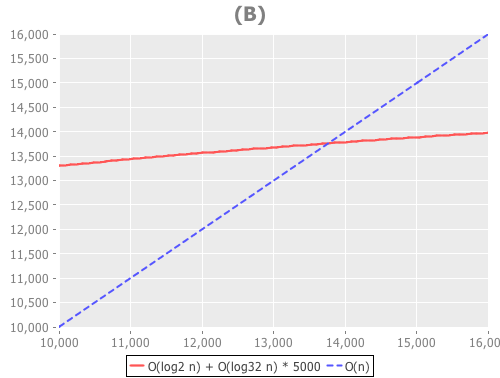 :series-label "O(log2 n) + O(log32 n) * 5000"
The three charts in the book are of the same data but each focuses on a different region. 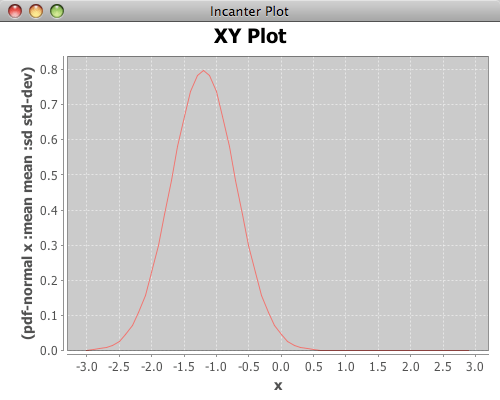 You can use the set-y-range and set-x-range functions to zoom-in on each of the different regions. 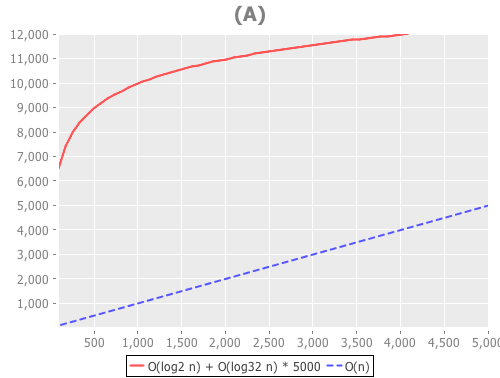 The new theme is available in the latest version of Incanter on Clojars and Github, and the complete code for the above examples is available here.